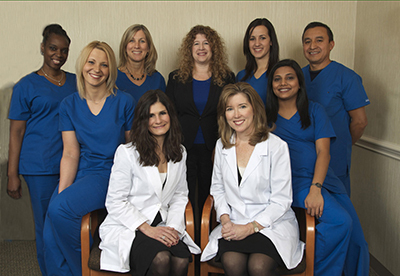 Committed to excellent orthodontic care and state of the art technology. In our office, we treat each patient as if it was our own child, sibling or parent. We go to extreme lengths to make you feel at ease and comfortable. We understand each person has individual needs and we will meet and exceed your expectations in both our orthodontic treatment and customer service. Dr. Ryan and Dr. Christensen believe in working together to provide outstanding orthodontic care in a compassionate environment. We are proud to say that two orthodontic minds with years of extensive training and experience go into formulating each orthodontic treatment plan. Dr. Ryan and Dr. Christensen combine the greatest aspects of their skills and experience to provide the best care possible. We truly enjoy our patients and look forward to their visits. Finally, our state of the art office is equipped with lower radiation x-ray equipment , digital photographic images and the Itero intra oral scanner which enables us to take 3D digital scans of the patients bite and teeth, thus eliminated the need for messy impressions. In addition, sterilization and health safety are a top priority. We use disposable products when possible and pay scrupulous attention to sterilization.